Rock around the Christmas tree this holiday season! 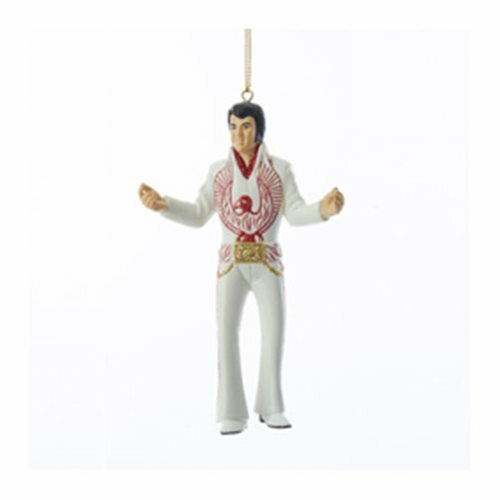 This Elvis Presley Red Phoenix Suit 5-Inch Figural Resin Ornament features Elvis wearing his iconic white suit with red phoenix emblazoned across the chest. Made of resin, it measures approximately 5-inches tall.